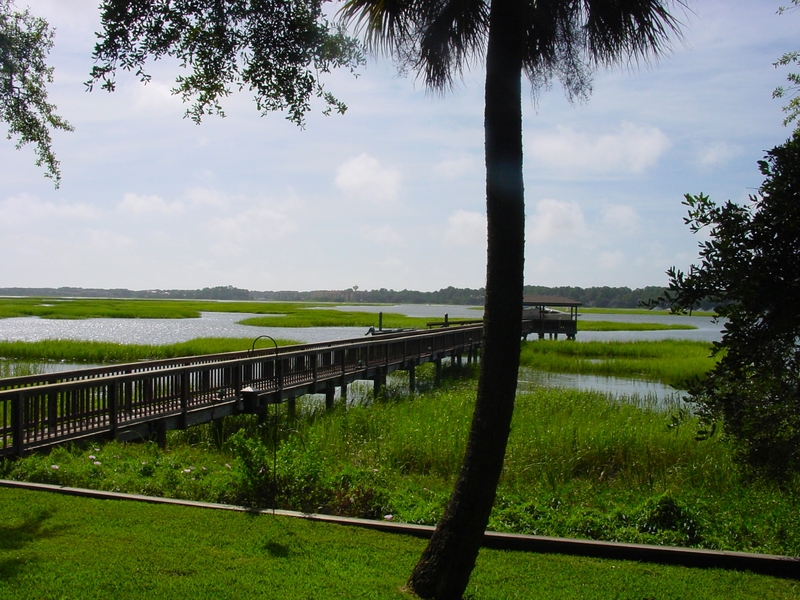 Windmill Harbour is a private, gated community located on the north end of Hilton Head Island designed for those that enjoy living in a seaside community. You won’t find a golf course in Windmill Harbour, but you will find the South Carolina Yacht Club and a seaside community that takes advantage of the beauty of its natural surroundings. Windmill Harbour real estate features both moderately priced villas and high end luxury waterfront homes. The community features a 15-acre harbour and a lock system that protects the 260-slips from wakes and currents while providing access to the Intracoastal Waterway. There are only 435 residences within Windmill Harbour, and eighty percent of the homes enjoy views of the water. Windmill Harbour’s architecture is in keeping with its distinct Southern landscape and is reminiscent of the traditional style prevalent in Charleston. Town homes, patio homes, villas and full-sized single-family residences offer breathtaking views of the harbour, marshes of Calibogue Sound and the Intracoastal Waterway. Perhaps the best example of Windmill Harbour`s architectural style is the South Carolina Yacht Club, situated on a peninsula that extends into the 15.5-acre harbour. In addition to being a focal point for residents, the Yacht Club benefits the Island community at large, hosting art and fashion shows, sailing events, group cruises, tennis and fishing tournaments and more. Members may use the clubrooms to host their own private events. South Carolina Yacht Club members enjoy membership privileges in over 250 Associate Clubs worldwide. Membership is limited to 650 and currently, there is a waiting list. Windmill Harbour is a great location for buyers who are interested in boating but it is much more than that. As the site of the South Carolina Yacht Club, many of the activities in the area are centered around the club, making membership a necessity. With no short term rental, Windmill Harbour is a neighborhood where everyone is friendly and very interactive. The club’s member breakfast served Wednesday through Saturday at a bargain price has become a center for friends getting together and meeting newcomers.